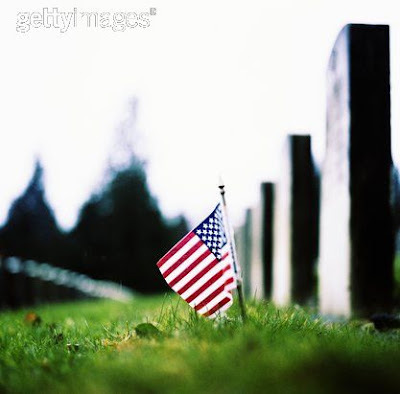 Historically, a day to commemorate those who have lost their lives for our country. Presently a day to remember loved ones who have passed away. Growing up, memorial day was just an exciting day to miss school. Now that I'm "old" :) I take more consideration into remembering those in my life that have died and truly appreciating the men and women who have given their lives for our country. My mom and I have a tradition of visiting Riverton Cemetery and placing flowers on the non-decorated grave of Ms. Rhoda Campbell. We wonder what her life was like, if she had children and a husband, the way that she impacted the lives of those around her. As long as we have had this tradition, her headstone has been absent of any flowers or decorations, which makes it meaningful to place flowers on her headstone. If you are remembering a loved one that has passed today, take comfort in their life, in the joy that they brought to you, and the way they changed this world. Remember their amazing LIFE, and hopefully they are dancing with Jesus! Happy Memorial Day my friends!